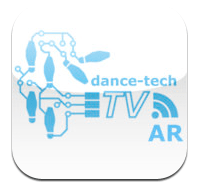 dance-tech.tv presents its own Augmented Reality App for portable mobile devices Apple and Android! Go to the dance-tech Augmented Reality creative residency! explore AR! dancetechtvARapp is the free Augmented Reality app of dance-tech.tv and it allows the user to discover video layers or 3D aninated characters on printed material and spaces. It also allows the user to create their own AR geolocated content. It combines an image recognition engine and geolocation. The dance-tech.tv AR app is designed to be used mostly in the contexts of arts festivals and older events to augment printed programs and posters with video layers of the artists involved in the festivals and with video content created in the festivals by the dance-tech.tv team. It may also be used for some urban games and performances with the geolocation feature. 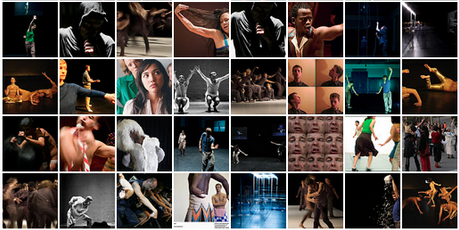 The dance-tech.tv AR app makes image and location a site for multimedia performance experimentation. Supported OS: Compatible with iPhone 3GS, iPhone 4, iPhone 4S, iPhone 5, iPod touch (4th generation), iPod touch (5th generation), iPad 2 Wi-Fi, iPad 2 Wi-Fi + 3G, iPad (3rd generation) and iPad Wi-Fi + 4G. Requires iOS 4.0 or later. 1.-Download for free and install the app and point the device to images of the bottom of this page or you may test the app Scanning the logo of the dance-tech.net and dance-tech.tv and you will the trailer. Tap on the video layer to make fullscreen and single tap to go to the url to watch the full video to get more information. 2.-Tap on information icon (I) in the bottom right of the screen and read detailed guidelines on how to use this app for making auras, location auras and also create your own channel. 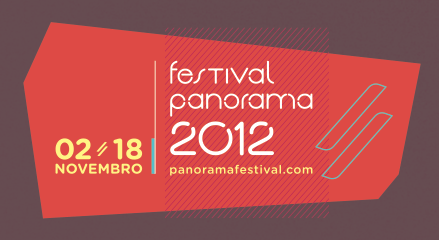 Video demo over the Augmented Program at Festival Panorama!